While shopping for the ideal wedding gown brides hear again and again and again to keep an open mind. We all know what that means but what does it mean in relation to searching for your dream wedding dress? Does it mean let your relatives roam the bridal salon and pull every dress they wish they could wear? Does it mean saying yes to a dress that is the complete opposite of what you thought you would ever wear or even like? What does keeping an open mind truly mean and how can you apply this to gown shopping? 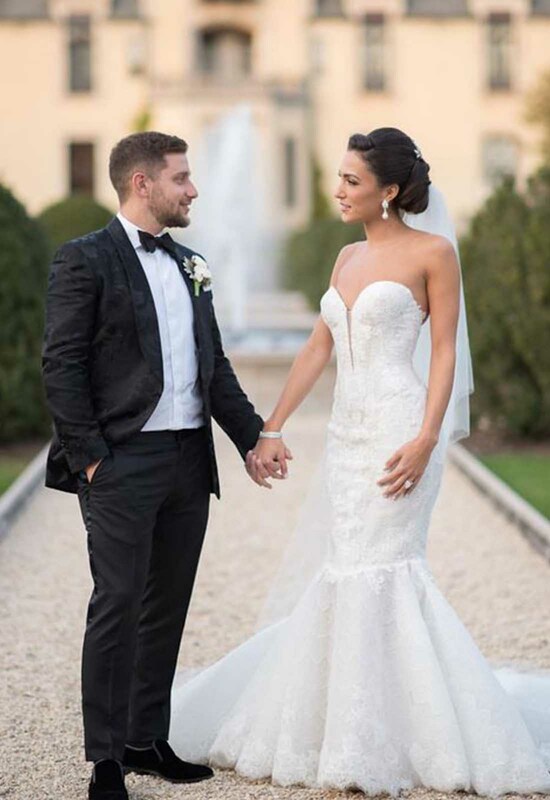 How do you make sure you end up feeling and looking how you always envisioned on your special day? Honestly it's simple: when people tell brides to keep an open mind they mean don't be so set on one idea that you potentially miss out on the wedding gown that’s really meant for you. 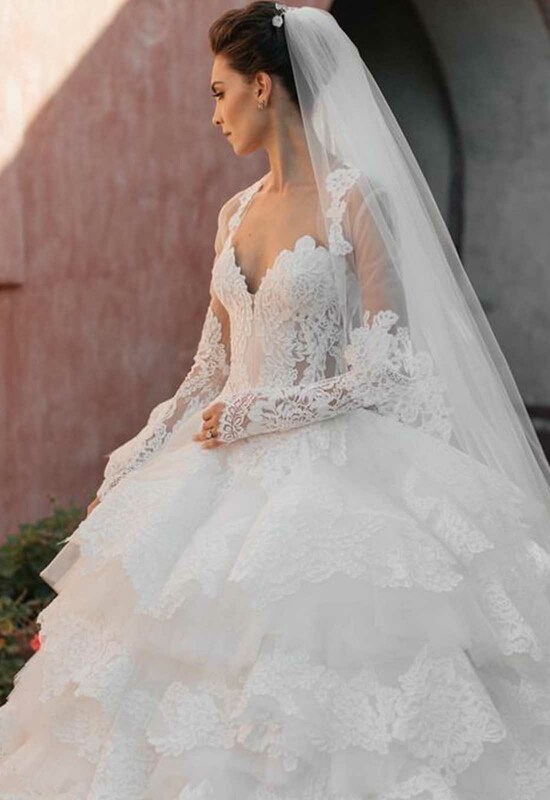 Some brides believe that there is only one style for them and they end up trying on hundreds of gowns and settling for one that they don’t completely love. Sometimes going out of your comfort zone is a good thing. On the flip side, I'm not saying that you shouldn’t have some idea of what you are looking for because you definitely should. You know what you like and what you don't like on your body, but wedding dresses are different something might surprise you! Maybe you wear loose dresses all the time but it's that mermaid-silhouetted wedding gown that accentuates your curves in all the right places. 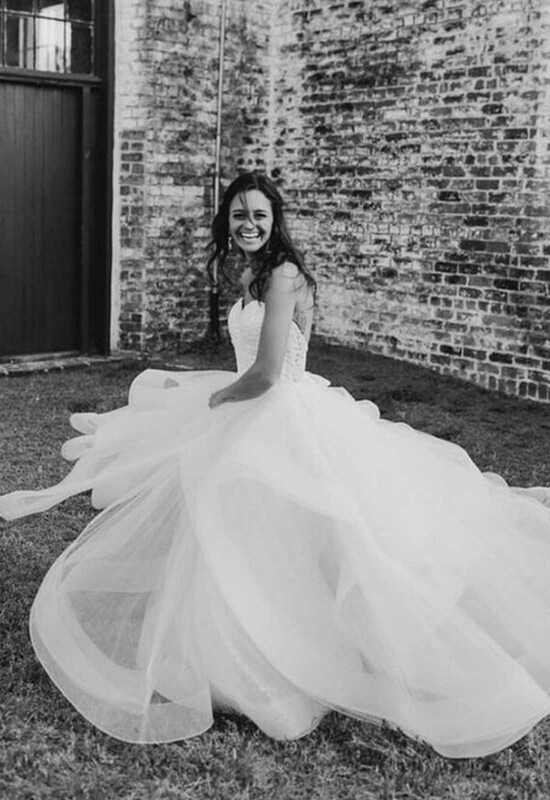 Or maybe you are constantly wearing form-fitting gowns and a loose and fun tulle ball gown is what you need to dance the night away on your wedding day. My advice: think about the details! 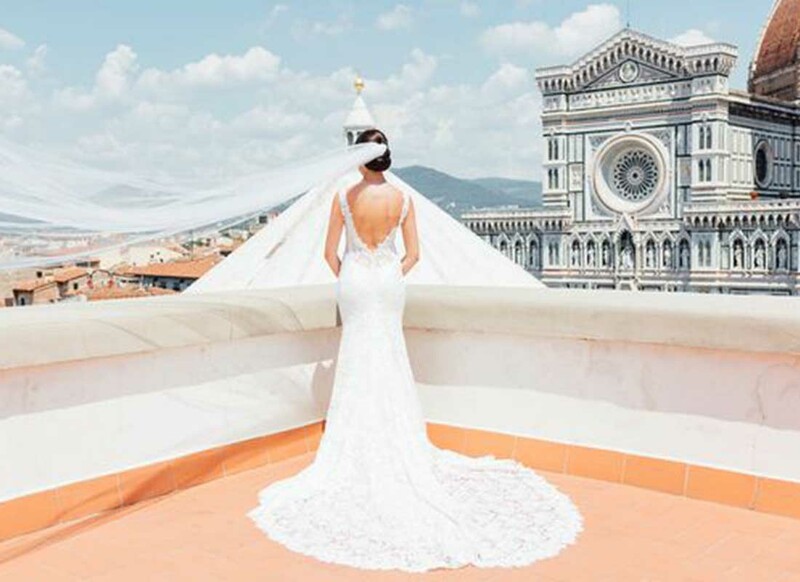 Let's be honest: it's the details that make the gown that something extra special that wins our hearts over and brings tears to our shopping posse's eyes. Figure out if you want lace, bling, tulle, satin, sleeves or none of the above and go from there. Details come together in mesmerizing and beautiful ways on different styles of dresses, on different body types and by different designers. Start with the details you want and don't want and then let the rest surprise you. After all, you are keeping your mind open so it can be blown right?